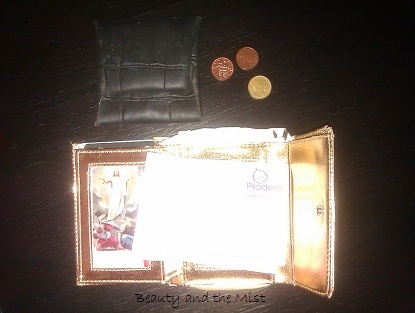 My friend Preethi was curious to know what I have in my handbag! If you want to know that too, here it is. 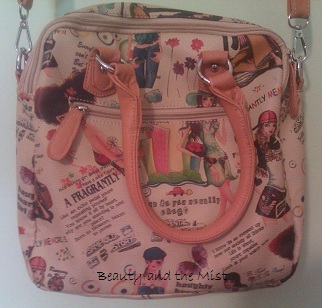 This is the bag I’m carrying these days. There is usually everything in my bag and I thought I would have to remove many things before I show it to you, but it looks like it’s even boring. Amazingly, you can’t see any lipstick, baby wipes or croissants. 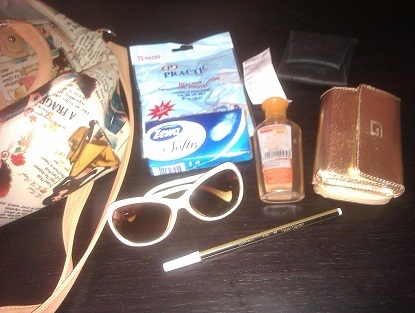 As you can see there is a pair of sunglasses, a pen in case I want to write something (no notepad though), my gold wallet, another one for coins, tissues, a receipt from a dress I bought for my niece Nicole (I mentioned the reason here) and a packet of toilet plastic covers. Don’t ask me why I carry the last one, just in case! In my wallet I found some discount coupons for baby products. I also have a picture of Jesus (weird but true) and an old photo of my husband. I also found 10 euros, but I just remembered I owe my sister 6 euros and my mum 1,5. If you want to see more of my bag collection, take a look at my black evening bags, my gold bags and also some bags I created with my old jeans. 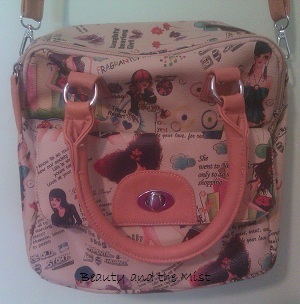 You can also see the results from a previous poll where people had revealed what they always have in their bag. I would like to tag all of you!